Alvaro Jose Alencar, MD, highlights advances made in the treatment of patients with hematologic disorders, offers advice on how to choose between available agents, and sheds light on future research. 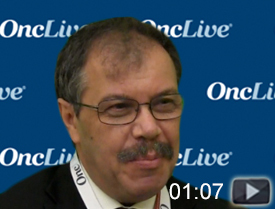 Terrence J. Bradley, MD, discusses approved and investigational agents that patients with myelofibrosis and polycythemia vera can turn to. Lazaros J. Lekakis, MD, discusses the promise of CAR T cells and some unanswered questions with this rapidly emerging therapy. 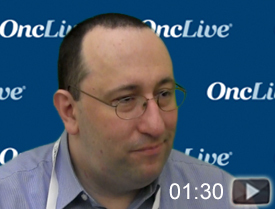 Craig Moskowitz, MD, discusses the role of PET imaging in the treatment of patients with Hodgkin lymphoma, weighs the pros and cons of A+AVD, and speaks to where future research is headed in the space. Justin M. Watts, MD, sheds light on these promising agents and their impact in the space, discusses remaining challenges, and expresses his hope for an era where most patients with acute myeloid leukemia will be cured. Stephen D. Nimer, MD, sheds light on new strategies and trends in the treatment of patients with hematologic malignancies. 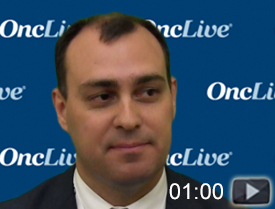 Izidore S. Lossos, MD, discusses the current pillars of care and barriers in the treatment of patients with early-stage and advanced follicular lymphoma, as well as mantle cell lymphoma.